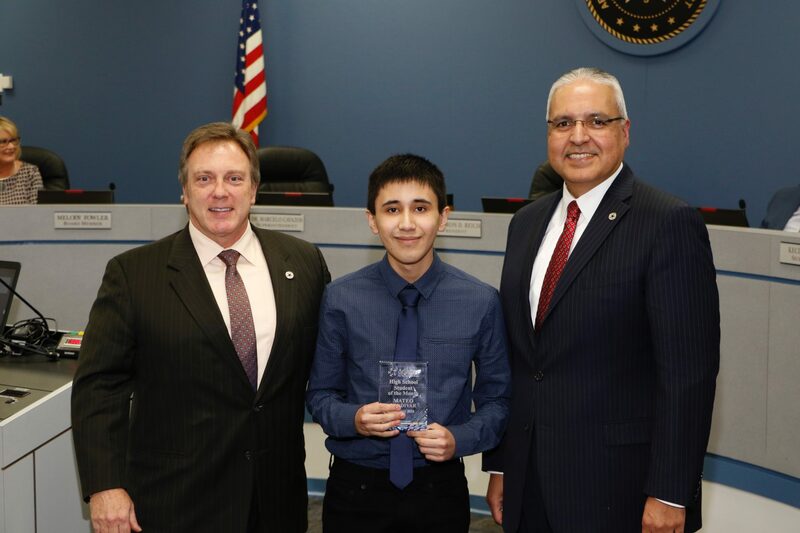 Congratulations to Mateo L., a second-year Newcomer Center student, who is the February 2019 AISD High School Student of the Month. Mateo is a shining example of determination and excellence. Mateo’s home country is Ecuador, and he has worked hard in acquiring the English language, earning credits and mastering EOC exams. Mateo has 15 credits and is on pace for 19 credits by June 2019. He passed his Algebra I and ELA I end of course exams the first year he was in Texas. Mateo has a kind heart and is driven to succeed. He is a wonderful example of a student who has taken full advantage of the opportunities provided at Newcomer Center. Congratulations, Mateo!